The King’s Pawn, Inc. is a great place to shop and save money. 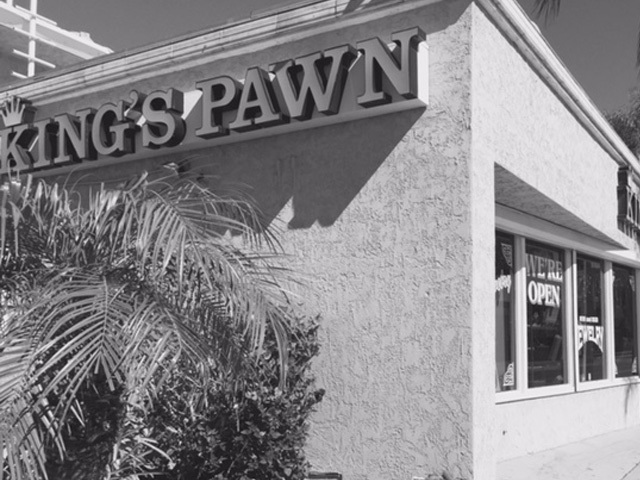 The King's Pawn Inc is a family owned business that has been serving Escondido and the surrounding communities for over 20 years. We strive to create a comfortable, friendly setting for our loan and retail customers so they keep coming back. And come Back they do! Heidi Hancox is proud to say she is a second generation owner taking care of second generation customers! Stop in, we would love to meet you! The Escondido Police Cadet Post The Escondido Police Cadet Post gives young men and women, ages 16 to 20 a first-hand look at the law enforcement career field. Cadets receive hands-on training in areas such as traffic control, enforcement stops, interviewing witnesses, search and rescue, and conducting investigations into serious crimes. Most importantly, the young men and women participating in the Escondido Police Department Cadet Post serve their community in a vital and meaningful way in various community outreach programs. The life skills developed through the Cadet program shape the leaders of tomorrow. Blue Apple Ranch Blue Apple brings together both people and horses! Toby Wells Foundation is dedicated to making positive contributions to the San Diego Community by investing in a brighter future for both people and animals. Art Hatch Art Hatch provides young artists working in all medias a place to create, exhibit, and blossom. As well as sponsoring many local youth sports teams.